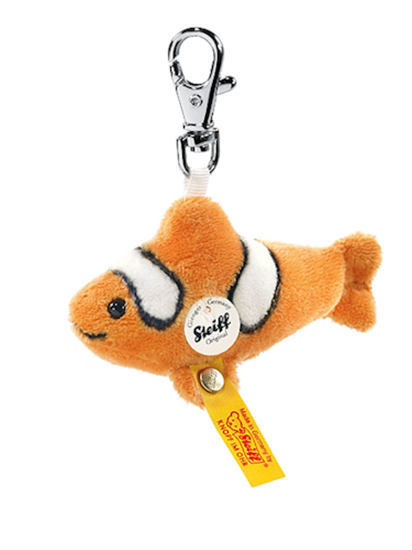 New from Steiff in 2012, Keyring Flossie Clownfish is made of orange and white plush and measures 4 inches long. She is perfect for locating your keys in a crowded purse or decorating a backpack. Flossie Clownfish is machine washable in cold water by placing her in a net bag or removing the metal keyring first.